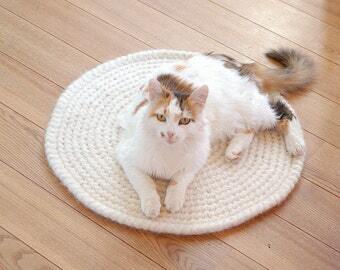 Soft durable woolen pet bed with sisal rope. Cats like to play with fringes of the rope, dogs usually LOVE to sleep in the woolen beds. 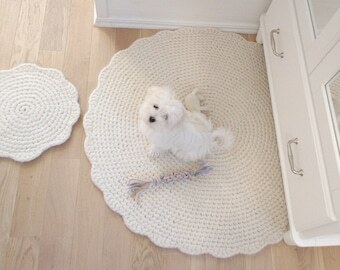 Pet beds I make from natural 100% wool yarn, crochet and then felt them. 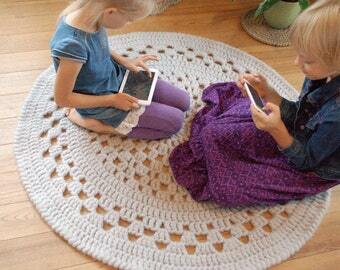 Mat is thick, warm and soft because of felting. Edges are double, so bed holds its shape. Diameter of a light grau bed in the photos is 40 cm / 16 inches. You can choose other sizes. I will make the rug according to your needs. Smaller sizes will take me a week to crochet, the biggest ones - about 2 weeks. 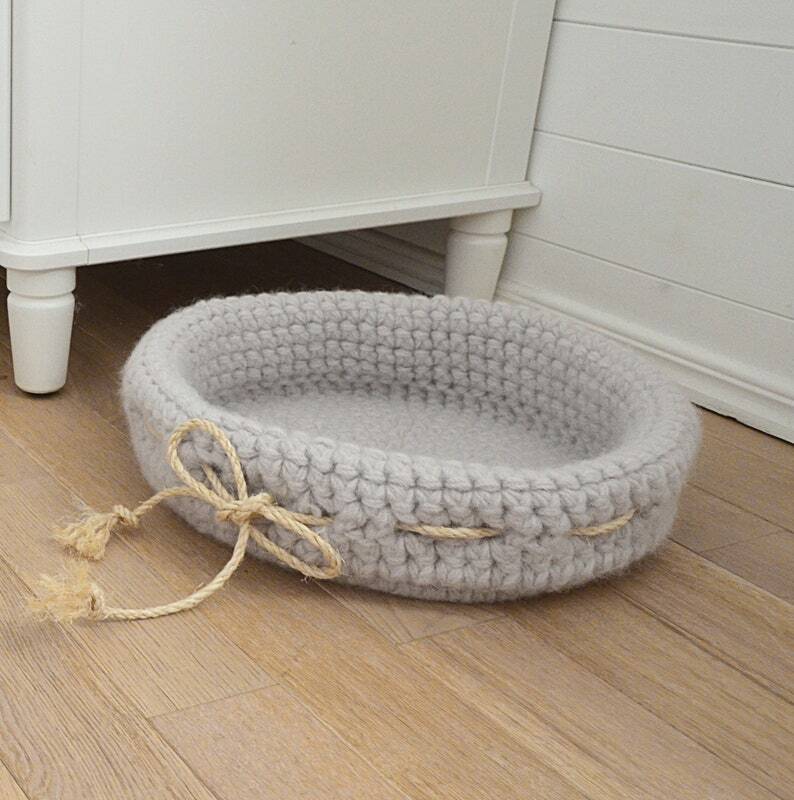 Bigger pet bed in the pictures is with cotton rope, you can find this item in my shop. If you need other sizes or colours, please, contact me! 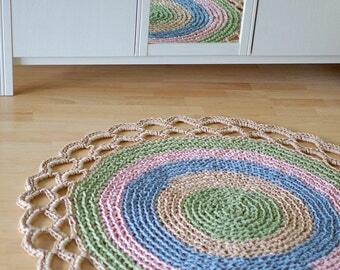 I will be glad to make a rug especially for your pet.